With the recent unveiling of mankind’s first observation of a black hole dominating the news, you may have missed other exciting and important science news. Case in point: A team of University of Arkansas astronomers have identified an outburst of X-ray emission from a galaxy approximately 6.5 billion light years away. The event is consistent with the merger of two neutron stars to form a magnetar — a large neutron star with an extremely powerful magnetic field. Using the observation, the researchers were also able to calculate that mergers like this happen roughly 20 times per year in regions of the Universe of a volume 1-billion light years cubed. 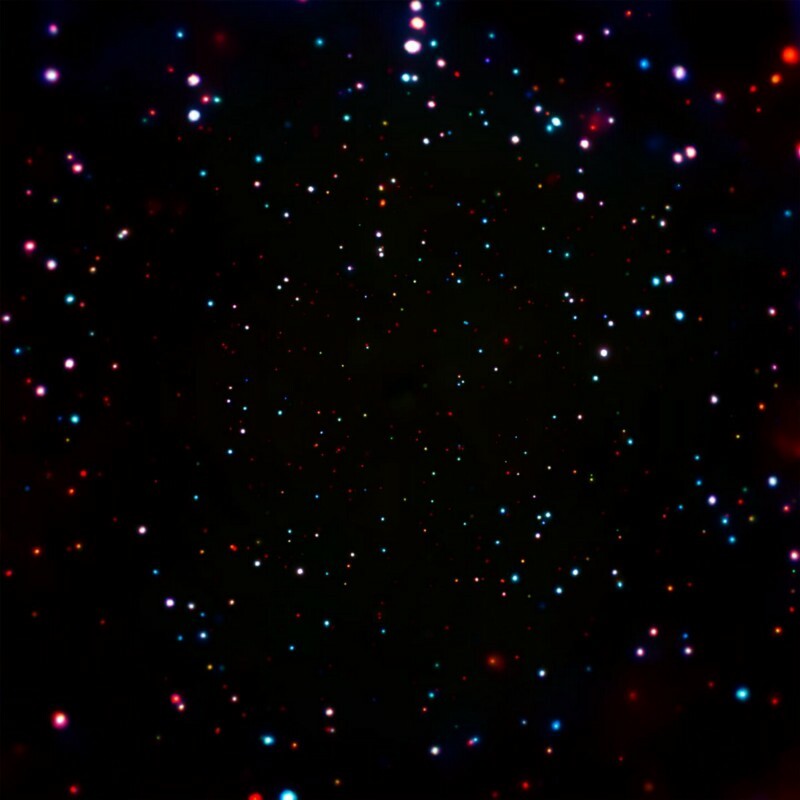 The team — including Bret Lehmer, assistant professor of physics at the University of Arkansas, analyzed data from the Chandra X-ray Observatory, NASA’s flagship X-ray telescope. Lehmer explains: “Neutron stars are mysterious because the matter in them is so extremely dense and unlike anything reproducible in a laboratory. Neutron stars were first proposed in 1932 by Russian theorist Lev Landau shortly after the discovery of neutrons — neutral partners to protons in the atomic nucleus by James Chadwick in the same year. The outer part of these stars contains neutron-rich nuclei, whilst the inner sections are formed from a ‘quantum-fluid’ comprised of mostly neutrons. They were first discovered in 1967 by radio astronomers at Cambridge, who were looking for quasars — distant radio-emitting galaxies. Neutron stars are formed by the same process that creates black holes — core-collapse supernovae— but, in the case of neutron stars, that collapse is halted by the degeneracy pressure provided by this neutron fluid. Neutron stars aren’t quite massive enough to overcome this — the upper limit being approximately 3 times the mass of the Sun. This results in a small, very dense star, averaging around 20km in diameter whilst having a mass of roughly that of the Sun. This results in a density of a few times 10¹⁷ kg/m³ resulting in some remarkable properties. Magnetars — a class of pulsars, objects renowned for rapid, periodic and powerful outflows of energy — created by the merger of two neutron stars. This results in an extremely powerful magnetic field — of around 10⁸ to 10¹¹ Teslas. To put this into perspective, the strongest magnetic field ever created on Earth is just above 91 Teslas! As this field decays, the newly consolidated neutron star emits jets of high-energy electromagnetic radiation — mainly X-rays and gamma rays. 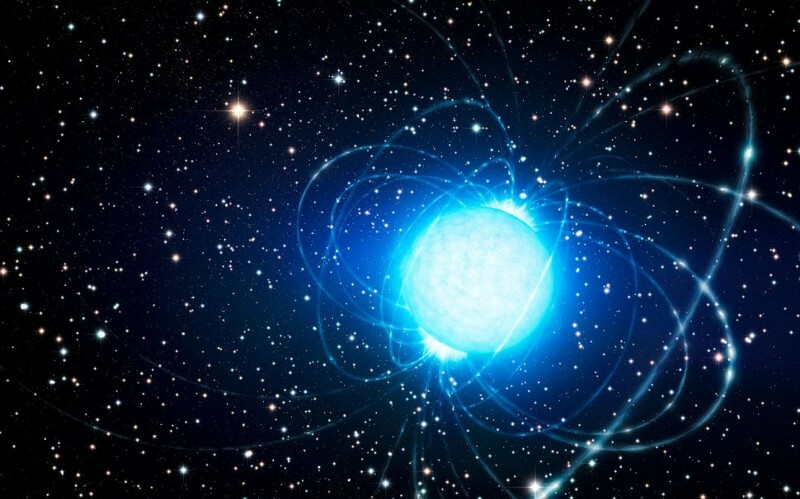 Despite this, magnetars have proven to be relatively elusive. The use of gravitational wave detection facilitated a previous discovery of two neutron stars merging, thus giving astronomers new insight into these objects. The research team used this new information to look for patterns in Chandra Observatory’s X-ray data that were consistent with what they learned about merging neutron stars. Lehmer explains: “A key piece of evidence is how the signal changed over time. Similar calculations about the rate of neutron star mergers have been made based on the mergers detected by gravitational waves and gamma rays — an example of a new form of astronomy known as multimessenger astronomy — strengthening the case for using X-ray data to find such exotic merger events in the universe. 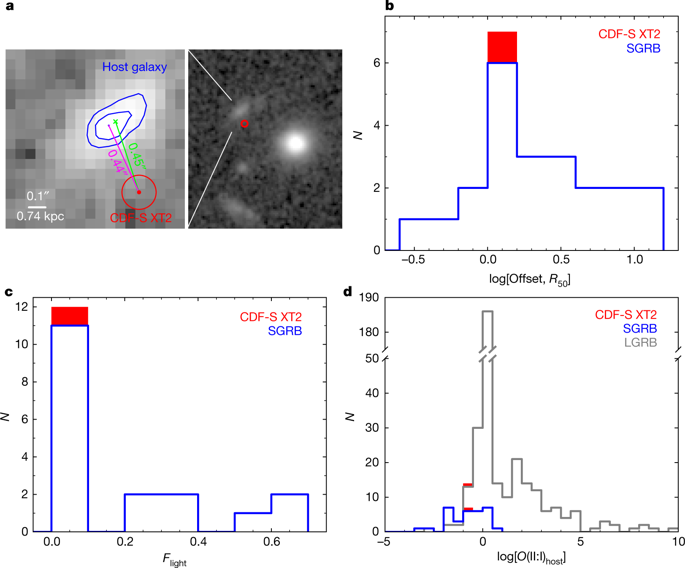 The Chandra Deep Field-South survey includes more than 100 X-ray observations of a single area of the sky over a period of more than 16 years to collect information about galaxies throughout the universe. Lehmer, who has worked with the observatory for 15 years, collaborated with colleagues in China, Chile and the Netherlands, and at Pennsylvania State University and the University of Nevada to produce the study was published in Nature.